Born Jane Alice Peters in 1908, Carole Lombard was an American movie actress who became one of the highest paid stars of the 1930s. She is probably best known for starring in comedies and was nominated for an Academy Award for Best Actress for her role in the film My Man Godfrey. She was married to actors William Powell and Clark Gable. She and her mother died in a plane crash in 1942 while returning from a tour to sell war bonds. Their DC3 crashed into Mount Potosi in Nevada on a clear night apparently due to a navigation error. Actress Carole Lombard has a few former U.S. presidents in her family tree including Calvin Coolidge, Rutherford B. Hayes, Gerald Ford, George H.W. Bush, and George W. Bush. A number of First Ladies and Governors also have family connections to Carole Lombard including Barbara (Pierce) Bush, Helen (Herron) Taft, Lucretia (Rudolph) Garfield, Alaska Governor Sarah Palin, Vermont Governor Howard Dean, and Florida Governor Jeb Bush. She has kinship to a few American patriots including Declaration of Independence signer Robert Treat Paine, Boston Tea Party participant Edmund Sears, and Revolutionary War hero Nathan Hale. Carole Lombard's family tree includes fellow actors Lucille Ball, Alan Ladd, Linda Hamilton, Elisabeth Shue, Ted Danson, David Hyde Pierce, and Alec Baldwin. Her literary kin include Tennessee Williams, Ray Bradbury, Robert Frost, Emily Dickinson, Ernest Hemingway, Thomas Pynchon, and Louis Auchincloss. 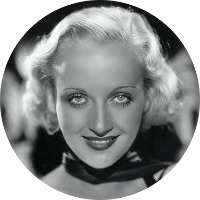 Carole Lombard also has family connections to a couple of more infamous characters. She has kinship to Chicago Columbian Exposition serial killer Dr. H. H. Holmes (aka Devil in the White City) and to John Hinckley Jr., the man who shot President Ronald Reagan.